Hi 🙂 I’m too in love with your wonder woman wrist wraps, where did you get them? Hi Ida! I made them! 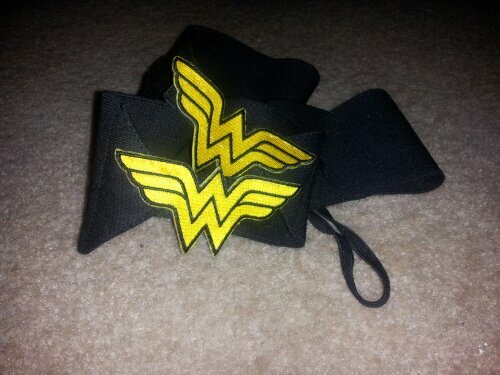 I got iron on appliques from amazon.com and then sewed them on harbinger wrist wraps! Awesome score! Those wrist wraps clearly did the job for you! Ahhhh! 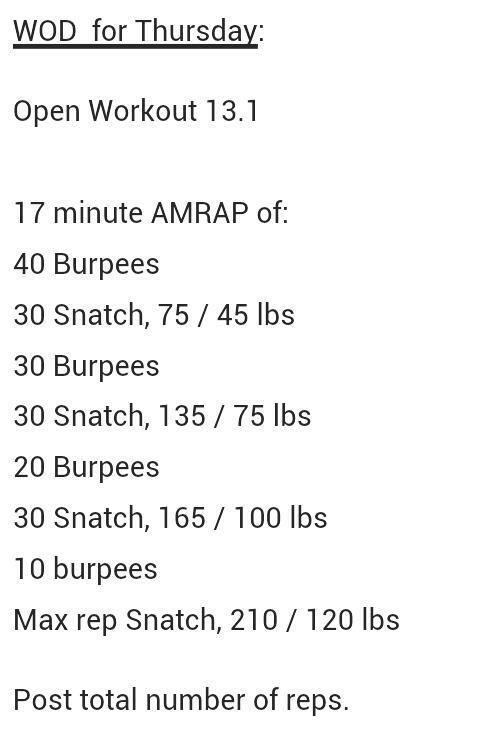 Congrats for getting through the second set of burpees! And for going strong at the 45#!!!! This was, by far, one of the hardest freakin workouts I’ve ever done and jus the fact that you came out and did your best is awesome! Now you can say you’ve done 30 reps at 45#!!! !